As part of the integrated system you receive our two specially developed software packages – Routescene® QA Monitor and LidarViewer® Pro. All our software has been specifically developed with survey, LiDAR and GIS data analysis in mind. Our aim is to simplify and reduce the time needed to post-process LiDAR data. Using our software means you can post-process your detailed, high volume, complex LiDAR data without the expense of third party packages and training. It makes sense. For use during your UAV LiDAR survey, provides immediate and continuous real-time in-flight data monitoring, to make sure you leave the survey site with the data you need. This web based app gives you confidence in the data you are collecting while you are collecting it. Check for green lights, if all the LED are Green you are good to go! 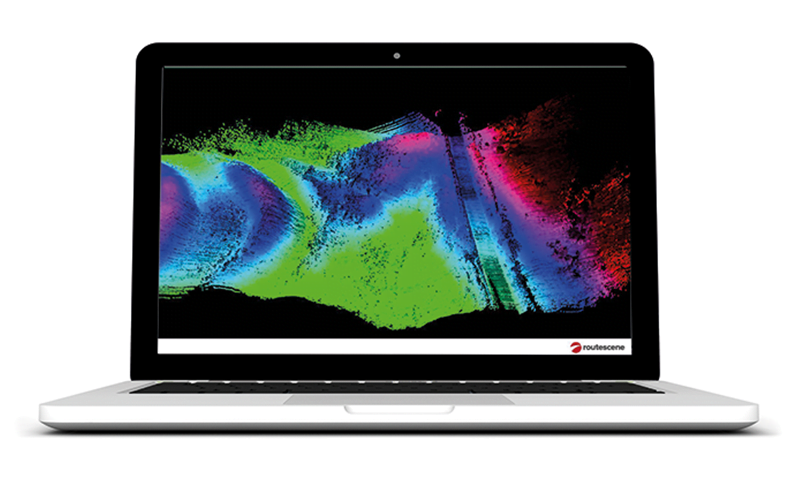 The Routescene LidarPod® delivers a fantastic richness of raw LiDAR data with superb detail. Unfortunately GIS and CAD packages are unable to cope with LiDAR data due to the large volumes of data collected. We have the solution – with LidarViewer Pro you can process and instantly view your data and make sense of it all. LidarViewer Pro is a framework on which to build a LiDAR processing workflow including detailed analysis and export. 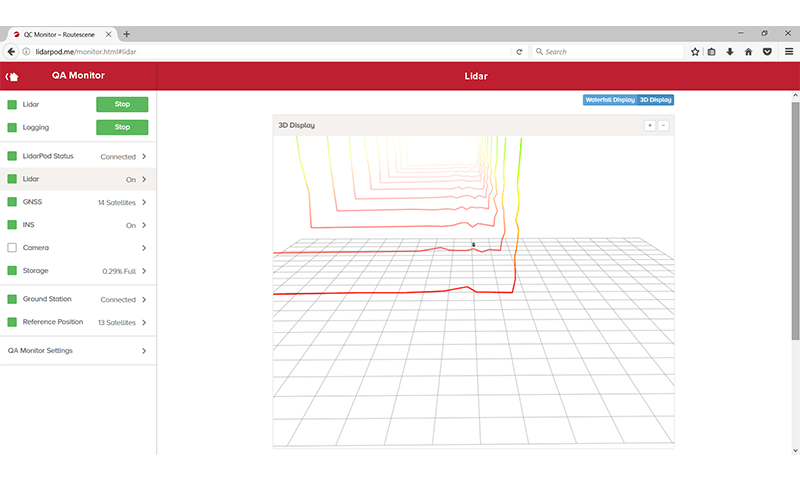 This flexible application offers powerful filters and filter chains to reduce, manage, and analyze the huge volumes of point cloud data to improve workflow and productivity. You can export in a variety of formats and coordinate systems including as standard delimited ASCII, LAS, LAZ. LidarViewer is a desktop application which is stand-alone and does not rely on third party based packages or modules to operate. 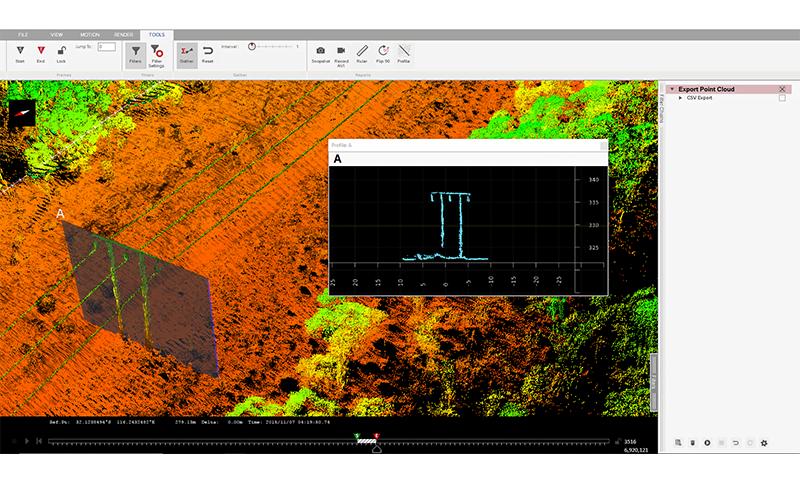 LidarViewer runs under Windows 10 and accesses the LiDAR data held locally on a disk. We have consciously chosen to develop a stand-alone Window’s based application as in many parts of a country, especially in the areas where UAV LiDAR surveys are conducted, there is no or very limited internet. LiDAR data files are very large so uploading the data to a server for processing “in the cloud” is both time consuming, impractical and fraught with problems and frustrations. Try sending an email with an attachment using a hotel’s wifi. The security of your data is another serious consideration, especially if the data that you have collected is classified or commercially sensitive. It is important for us to ensure that you are as self reliant as possible, ensuring that you can process the data when and where you please regardless of where you are in the world. With the Filter Development Toolkit you can develop your own filters for data cleaning, data reduction, coordinate conversion and interfacing to third party software. These filters enable you to create repeatable workflows and extract only the relevant data for use in external software.